Filmmaker, cultural programmer and architect. Member of the collective Panorama180 and organizator of BccN Barcelona Creative Commons Film Festival, CCMad Madrid Free Cutture Festival and coordinator of the International net of festivals CCWorld, projects established as a global space for cinema and free culture, working around new narratives derived from network approach toward a commons and free culture. Cofounder of Cosmopolilla prod. he has realized “Marquise”, the serial webdoc “Fisherman’s House: Barceloneta” or the the webdoc “Parkcelona”. His work has been exhibited in Festivals such Alcances or DocsBarcelona in Spain, CineB in Chile, Atlanticdoc in Uruguay or AFF Rotterdam. 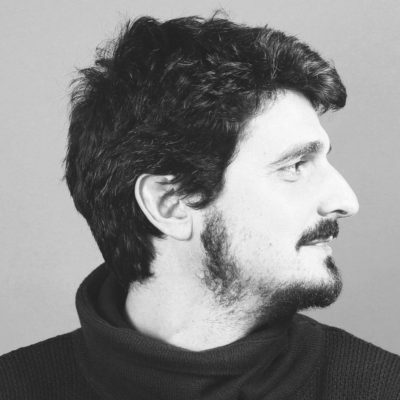 Current member of the commitee for monitoring municipal policies of cinema and audiovisuals, he is also teacher of the Master’s degree of Transmedia Production UAB Universitat Autónoma de Bellaterra and visiting professor of Blanquerna, ECIB or CEU UAO.